Hi, I am Sarina. 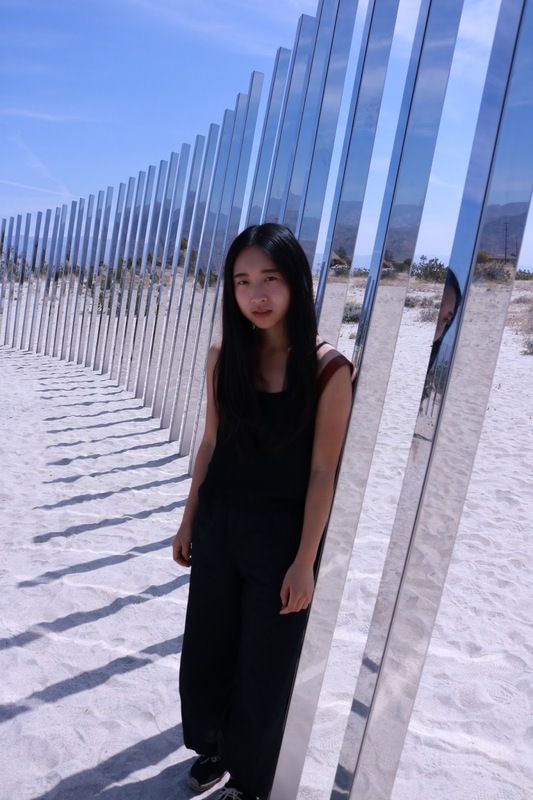 I wanted to start off this blog with my visit to Palm Springs' Desert X. 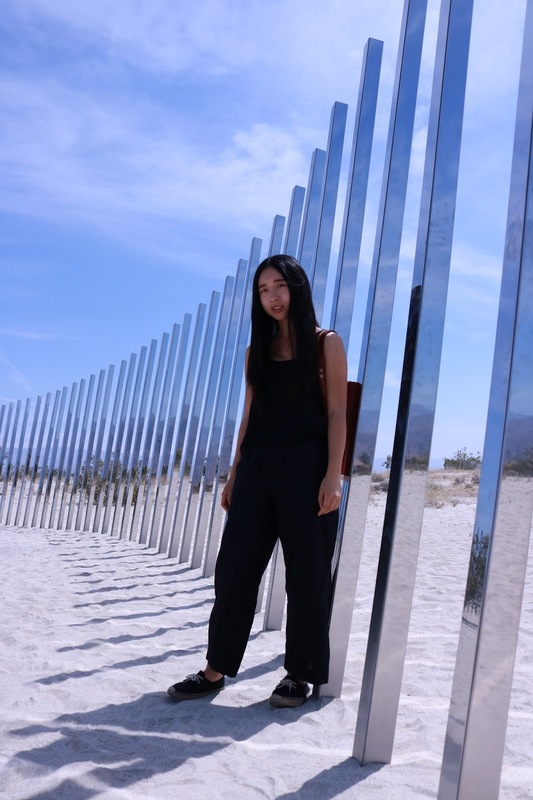 Desert X is a city wide exhibit throughout Palm Springs which requires a bit of driving to see each exhibit. My first stop was to Phillip K. Smith's exhibit 'Circle of Land and Sky.' Having seen numerous photos of this exhibit all over Instagram, I'd have to admit I was impressed and glad that I visited. 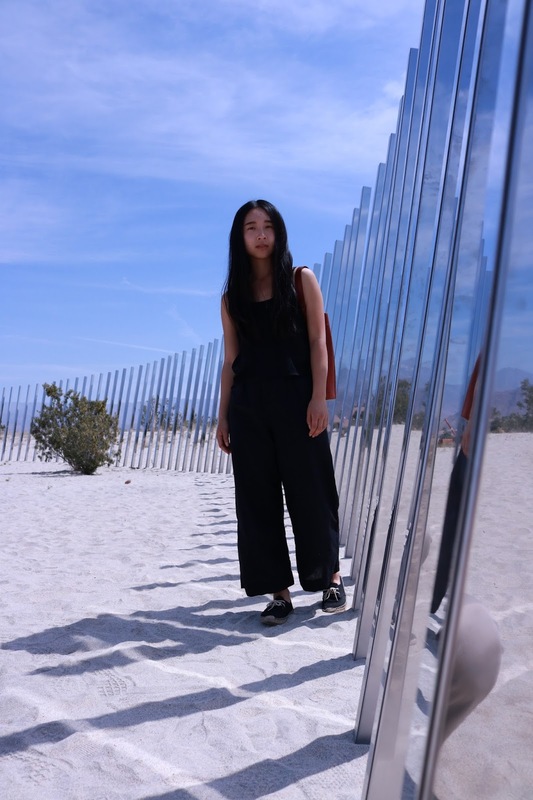 Being in the circle, I felt that there were many different perspectives through the mirrors. It was interesting to see the reflection of the sky and land within the mirrors and even more so collectively. During my trip to Palm Springs, I visited a few of the other exhibits which I will show in my next posts. I also wanted to note why I restarted blogging. I want to share in this blog how I strive to be an advocate of ethical and sustainable fashion. I want to share how I go about practicing slow fashion and not being tempted by fast fashion purchases. I'm also trying to live more minimally with fewer pieces in my closet.